Collectively, your employees have a wealth of experience, talent, insight, and creative ideas that could improve your business operations. 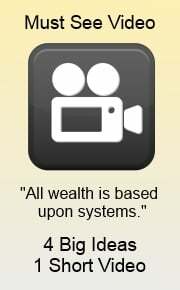 But, do you have a system to tap into this hidden treasure? Some companies have tried using a "suggestion box," which typically doesn't work very well. They allow anonymity leading to frivolous suggestions or mean-spirited remarks. They tend to focus on problems, not solutions. They put more work on already busy people; oftentimes no action is taken. Finally, they are not usually set up to reward successful implementation and results. There is a better way. You can learn more by reading, "Better Than a Suggestion Box: Tap Into a Wealth of Employee Ideas." Download the suggestion form below to implement a business system that can add hundreds of improvements and innovations to your business in the coming year. Many small business owners do not have formal job descriptions. Big Mistake! People are your most valuable and expensive components of your business systems. 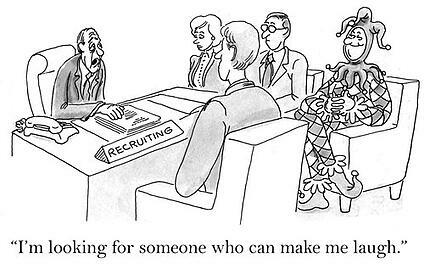 Every hire is important. Every mis-hire is expensive. The job candidate should fit the job function just as you would fit a component part in a piece of equipment. The better your part fits, the better your business system will work. Job descriptions are used in the selection process, employee training, performance appraisals, and compensation. Results-oriented job descriptions define what job results the organization needs to accomplish its mission, values, strategy and goals. Prepare your company Results-Oriented Job Descriptions using the sample form below. *Check out the World's Largest Database of Results-Oriented Job Descriptions offered by my friends Roger and Sandra Plachy at the Job Results Management Institute.